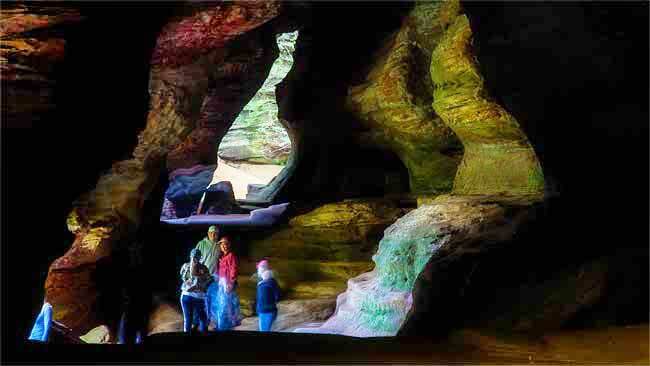 Rock House is the only true cave in the Hocking Hills region. 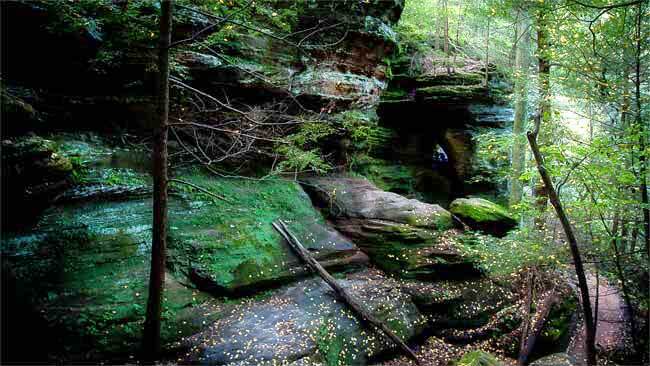 Roughly It is a triangular shaped tunnel-like corridor situated midway up a 150' cliff of Blackhand sandstone. 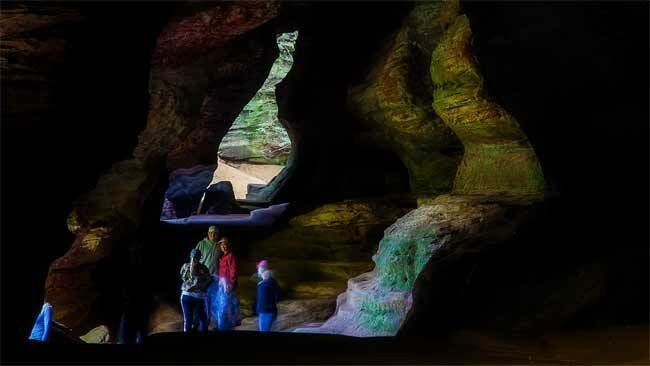 Rock House has a ceiling 25' high while the main corridor is 200' long and 20' - 30' wide. 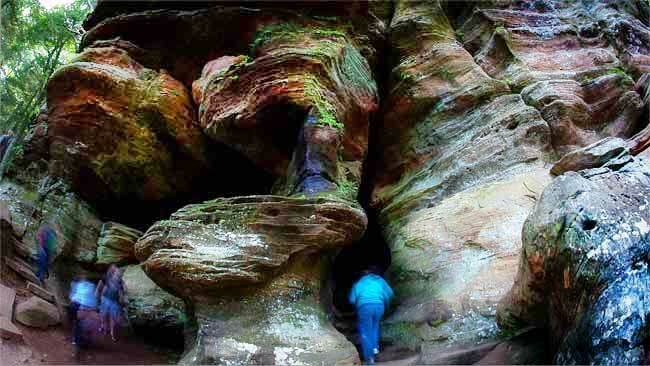 The cavern was eroded out of the middle zone of the Blackhand sandstone. 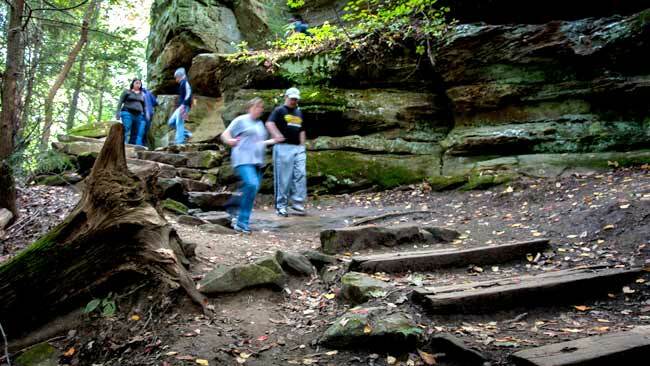 Rock House has been a tourist destination long before it became part of the Ohio Division of Parks in 1949. 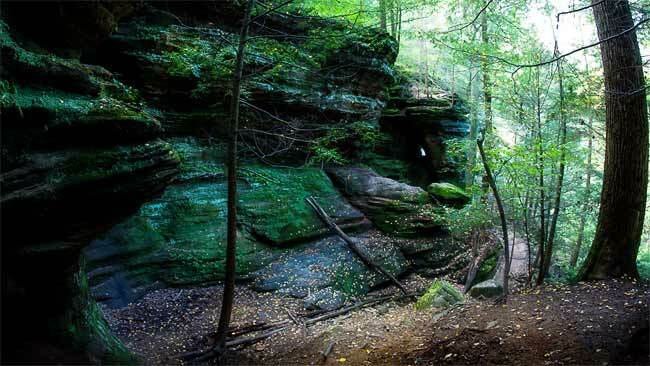 Lore of the area and in particular the cave, as being home to thieves has survived for years. This is probably nothing more than whimsical folk lore. 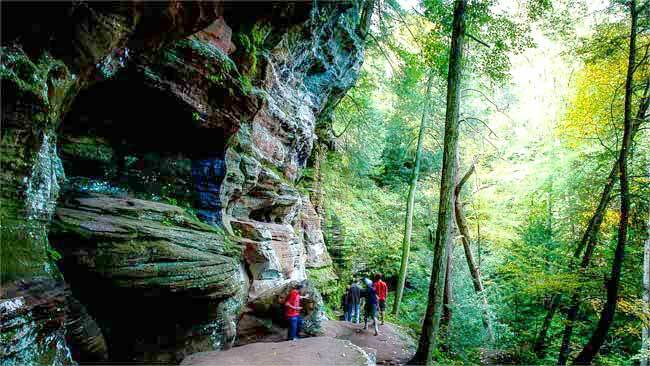 What is known is that archeological studies indicate the cave has been inhabited for many years by Native Americans prior to the first pioneers arriving in the area. The relatively soft sandstone has been carved to accommodate the collection and storage of water, fire pits, even ovens had been cut into the sandstone walls of Rock House. Hiking down from the parking lot is relatively easy with a number of switchbacks. 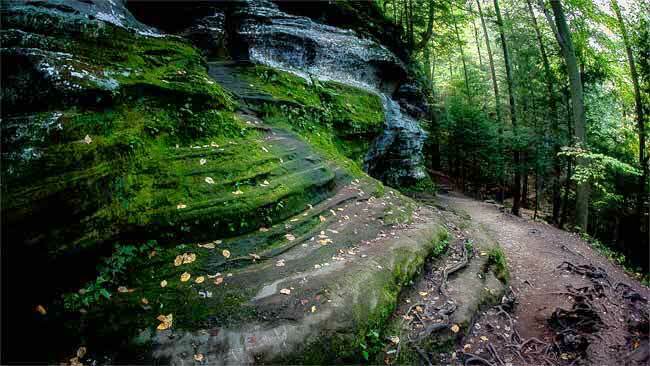 The trail is not handicapped accessible. Pets, even small pets can handle the numerous steps. There are no benches to rest so coming back up from Rock House, take you time and don't push it if you're no an avid hiker. The area does pose threats and there are no guardrails, even around 100' cliffs. Children of all ages should not be allowed to run with abandon.